This book is pure magic, fairy tales wound within a story with the hard realism of life in the Russian wilderness, a truly wonderful combination. Long hard winters that last almost the whole year, lack of food and tales told around the stove to keep warm, snuggle together and sleep, But what if some of the creatures out of these stories were real. Only to be seen by those that had the gift to see and the courage to embrace it. There was one such child, Vasya, whose mother gladly gave her own life so she could be born. This is her journey a feisty imp of a girl that was more of a wild child of the woods then the daughter of a wealthy and respected man. A child that was wise, curious and kind with the creatures she saw and talked to, but these creatures were well cared for with gifts of food and drink left by the villages too, until one day it stopped…………….. This is a fairy tale book for adults, it isn’t a book that you want to predict the end, it is one that you want to relish every second and hold on to every word because it is such a fabulous book to read. It seems an impossible thought that this is actually the debut novel, the whole thing is just so darn good that there is nothing I could possibly fault. The descriptions of the harsh Russian landscape and woods are vividly clear in my mind as are the extremely varied array of imp like beings and demons. I fell in love with this tale and I am so delighted to find out that there is going to be a further 2 novels in this series. Superb! I received a copy of this book from Netgalley for which I have chosen to review. After receiving her BA, she moved to Maui, Hawaii, working every kind of odd job imaginable, from grant writing and making crêpes to serving as a personal tour guide. After a year on the island, she moved to Briançon, France, and spent nine months teaching. She then returned to Maui, stayed for nearly a year, then left again to wander. Currently she lives in Vermont, but really, you never know. 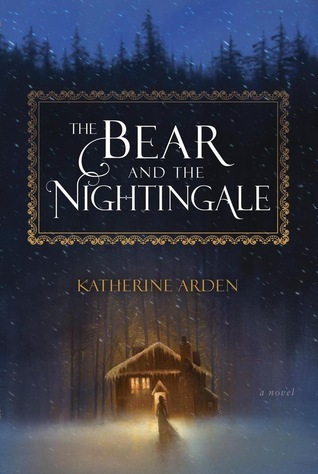 The Bear and the Nightingale is her debut novel. So glad you loved this! I couldn’t really connect because it isn’t my kind of book, but I could see it was a beautiful story and the writing was incredible! I’d like to learn more about them – the only knowledge I really have about them comes from the Hellboy comics! Wow! There is a lot of info if you want to read and quite a few woven into stories like this. I think I will 🙂 I’d think reading the book already understanding some of the tales can only make it more enjoyable. Thanks Sue!